The case against embattled cryptocurrency startup My Big Coin is being watched closely by industry insiders, as it will help determine whether or not the U.S. Commodity Futures Trading Commission has the authority to combat potential fraud associated with the coin and others. In line with increased attempts this year by U.S. regulators to pursue potentially fraudulent companies connected to cryptocurrencies, the financial watchdog sued entrepreneur Randall Crater in January, accusing him and his Nevada-based company My Big Coin of stealing $6 million from potential investors. This Thursday, June 14, U.S. District Judge Rya Zobel is set to hear arguments in the case. The debate over the jurisdictions of U.S. regulators like the Commodity Futures Trading Commission (CFTC) and the Securities and Exchange Commission (SEC) has become a larger issue recently as the still-developing cryptocurrency industry has continued to grow this year following the all time highs reached towards the end of 2017. This case is getting attention less because of pending guilt or innocence with regards to Crater and My Big Coin, and more because of what it could mean for the industry moving forward. According to Crater’s lawyers, the case raises a novel challenge to CFTC oversight of cryptocurrencies and associated ventures. 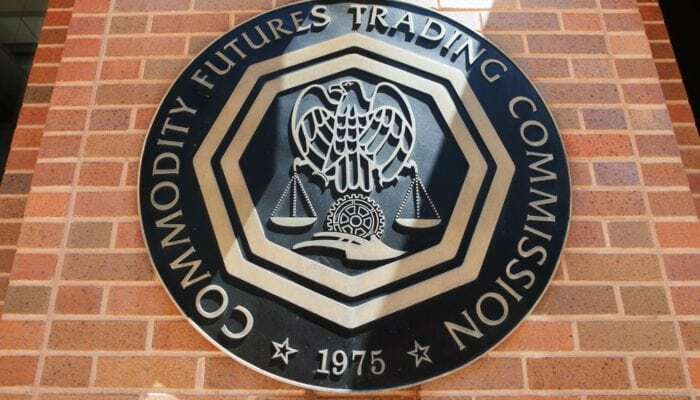 His lawyers argue that the CFTC has no authority over the digital currency because it is not a commodity nor is it a service that is traded using futures contracts, things that usually signify whether the agency should be involved. Currently, Bitcoin is the only cryptocurrency of which futures contracts are traded in the U.S.
As noted, U.S. and global regulators have expressed concerns about fraud schemes targeting cryptocurrency users, but questions linger about who actually has jurisdiction over them. Some in the crypto ecosystem, intensely pursing the original philosophies of decentralization and self-regulation, continue to fight against powers any government authority may have over cryptocurrencies. On the other hand, many believe that the right kind of regulation will help foster growth in the industry and weed out bad actors. In recent months the CFTC has announced eight cryptocurrency-related cases. In relation, peers at the SEC have claimed authority over the fundraising method initial coin offerings (ICOs). Just last week the head of the SEC clarified how his agency defines what is or is not a security, saying that the tokens used in ICOs are, whereas coins like Bitcoin (and, subsequently, My Big Coin) are not. In it’s lawsuit against Crater and My Big Coin, the CFTC says the defendants misappropriated $6 million from 28 customers they lured by naming their virtual currency to sound like Bitcoin and further claiming that it was backed by gold. Lawyers for Crater contend, however, that My Big Coin is not a “commodity” under the Commodity Exchange Act because it is neither a tangible good nor a service on which future contracts are being traded.